Brands and publishers had been noticing it for some months: organic reach on Facebook was dropping off. On January 11 of this year, Mark Zuckerberg made it official. 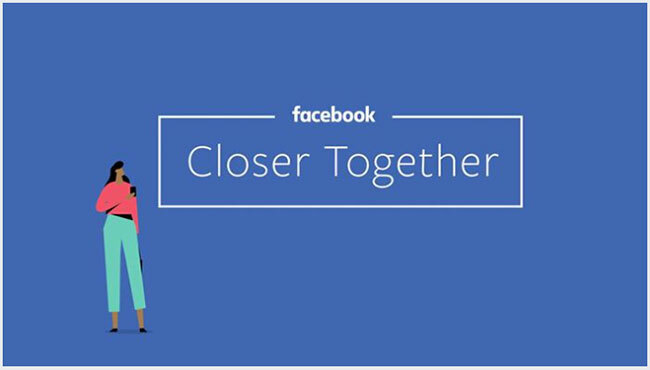 Under the banner of “making sure the time we all spend on Facebook is time well spent”, Zuckerberg shared “feedback from our community that public content — posts from businesses, brands and media — is crowding out the personal moments that lead us to connect more with each other”. Expect to see less public content, including news, video, and posts, from brands. Had Mark Zuckerberg pulled the rug from under organic social reach for brands and publishers on Facebook? That was the initial take on Facebook’s algorithm changes. But nothing is ever as straightforward as it seems at first glance. There’s no doubt Facebook is seeking to generate more “meaningful interaction” among its users, and that this will result in more focus on comments and shares rather than likes. There’s also no doubt that organic reach on News Feed continues to drop sharply for many posts: the algorithm changes are kicking in. But is Facebook really sticking a knife into public content? Should brands and publishers stop posting on Facebook? Here are 12 tips that might just help you maintain and even grow reach on the platform over time. What topics did you cover and what types of post did you publish? Fun, creative, technical? Identify your common categories. How often were you posting and at what times? Was it just you managing social content or was it a multi-team effort? What kind of visuals did you use in your posts? How often were you including external links and tagging relevant people? What posts performed most strongly in terms of shares, likes, and comments. Review the depth and nature of the comments. Where was the level of engagement deepest? How often were commenters talking to one another and not directly to you? Now comes the fun part. Draw up or revisit your social media schedule for the coming month (or the quarter if you’re feeling brave), and begin to outline your core posts. Draft ideas for visuals to accompany the posts, and research links to include and the people you wish to tag. Whatever posting frequency you commit to, make sure to draw up content ideas designed not only to get attention but to promote meaningful interaction. A poll for the sake of a poll is not a good move. Facebook has been quite clear it doesn’t like “engagement bait”. Instead, think of questions designed to generate conversations that have genuine value to your target audience. Prioritize serious topics of conversation over watercooler chat and quirky memes. Which brings us to the next point: the power of well-constructed content to drive conversation. The ability of content to spark conversation and solicit meaningful interactions held true long before the advent of Facebook as a company, let alone its most recent algorithm change. Great content stands the test of time. Get with your content team and your clients to discuss your editorial schedule, and push for healthy doses of depth and relevance. This will provide meaningful material for your social content schedule. Whatever content you agree to create, make it personal. That doesn’t just mean personal to the interests of the target reader, but personal in tone. Zuckerberg talked about a move away from “public content” to content that is more “informative and trustworthy”. Think about how you can make your social content more human in this regard. A recent survey from communications firm Edelman found that the public increasingly trusted business leaders and experts at a time when trust in institutions is at an all-time low. Invite your subject matter experts and senior executives into the content development process. Offer to put their names on the content. Adopting a personal and direct tone in your content will increase your chances of eliciting “meaningful social interactions”. It’s not that complicated: people like to converse with other people. Just remember to tag your social posts with the author and include a link to the original content. Once you have made it personal, take a position. What advice are you giving, what’s your point of view? Simply restating the facts isn’t enough. Have an opinion to help attract comments to your post. Facebook’s head of News Feed Adam Mosseri says as much. During a recent interview with Wired magazine, he confirmed that comments were more valuable than likes. “Content that inspires comments, specifically long comments which actually take time and thought to type out, will be a positive ranking signal for the algorithm, which will lead to increased distribution of the content which sparked the lengthy response,” he said. Obviously, that doesn’t mean you should intentionally seek to polarize in an attempt to drive comments to your post. We’re already living in highly divisive times. Take a stance, explain your position, and listen to the response. But don’t antagonize for the sake of antagonizing. So you have more of a human voice driving your content, and you want to publicize this work on Facebook. Now is the time to get creative with different ways of sharing your content and its message. For a blog post published on your website, single out quotes for posting to Facebook. Have your author create a 60-second face-to-camera video discussing the piece. Run a quiz with answers posted on Facebook as well as in your blog. Post on relevant Facebook groups as well as on your page. For an illustration or graphical work, spin up copy to support the design. Make the text as sharp and as engaging as the visual work it is supporting before posting it on Facebook. Remember to break the main design into individual social graphics for sharing on Facebook as well as other social networks. For a video, much depends on the nature of the content. Promote an interview with a senior executive discussing industry trends with a series of searching questions designed to drive comments on Facebook as well as funnel traffic to the original asset. For certain posts, wait for people to start commenting before introducing an external link. Regardless of the content type, don’t share the same link over and again. Instead, position your social posts as mood music for your content assets. Go sparingly in your use of Facebook to promote content about yourself, your clients, and your company. Where your content is promotional, consider boosting these posts instead to ensure reach. Facebook’s Mark Hull explains the thinking behind Facebook’s algorithm changes. There is little point starting a conversation if you’re not available to help it along. Once you see comments responding to a Facebook post of yours, act fast. Monitor your comments on an hourly basis, and aim for as close to real-time responses as possible. At the same time, remember Facebook places particular value on interaction between your commenters. Think of it as hosting a party. The hallmark of a good party is everyone eventually talking freely among themselves. It is your job as host to get the conversation going and to prompt it along as needed. This is how you should approach managing your comments. Remember that your commenters will receive notifications when new comments are added to the discussion. Guide the comments in as high quality and relevant a direction as possible. Use ideas expressed through comments as inspiration for future posts. Which topics or points really resonated that you can address more deeply at a later point? It’s never too late to comment back. A late reply to a comment is generally better than leaving it unanswered altogether. That doesn’t mean you need to respond to every point, but if the comments have gone quiet or if someone has asked you a direct question remind yourself who is the host. Scout your commenters for social influencers, the kind of people you will want to follow and possibly tap for guest posts to your blog. Facebook wants to promote news from local sources as part of its algorithm changes. “People consistently tell us they want to see more local news on Facebook”, wrote Mark Zuckerberg in a post at the end of January. Local news helps us understand the issues that matter in our communities and affect our lives”. If there is is a local marketing aspect to your business, consider what these changes may mean for you. Facebook says it is going to experiment with showing local news higher in the News Feed, starting in the United States and rolling out to other countries across the year. Although your posts may no longer appear as high up your follower’s News Feeds as before the algorithm change, get the word out on Facebook’s See First feature. This allows users to select those people or pages whose posts they wish to prioritise in their News Feed. You can select up to 30 people or pages to “see first”. Help raise awareness among your followers of this Facebook feature. Write a helpful blog post and share that around. Talk to people you know about See First. Ask if they use the feature and what their experience is. Many experts think that Facebook’s changes are ultimately designed to drive brands and publishers to invest more in paid social. Organic social is dead, right? While it might be tempting to throw a load of money at this, hold steady with your budgets for now. The changes are only fully kicking in, and it’s not clear yet what will work best in the new environment. Instead, experiment with boosting different posts within your existing budget. If you remain determined to throw money at the problem, try not to go crazy just yet. Remember that the stated purpose of Facebook’s changes is to increase “meaningful interactions” for its users. Paying to boost more posts more aggressively is not necessarily the best way for achieving this goal. The reality is that Facebook is too big a platform for brands and publishers to give up on after years building an audience on it. Changes like this, nonetheless, serve as a good reminder not to put all your eggs in one basket. Recent reports suggest Twitter is growing in strength against Facebook as a referral source. Consider increasing your investment in other networks such as LinkedIn, Twitter and Instagram (owned, of course, by Facebook) as part of your integrated social strategy. And don’t forget the importance of producing great email campaigns and building up owned media resources on your website. There certainly is a lot to consider. Facebook is a huge presence, personally and professionally, in everyone’s life. The changes it makes have significant impacts for us all. Smart planning through your social content calendars will be important to navigate the changes, as will be an out-and-out willingness to experiment with different approaches. But what do you think? What do you agree with or disagree with in our analysis? What are we missing? In the spirit of Facebook, we are hoping to drive some “meaningful interaction” among our readers from this post. What’s your point of view? Let’s hear it!